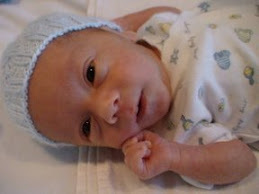 Carter Logan Smith: Indoor sandbox! 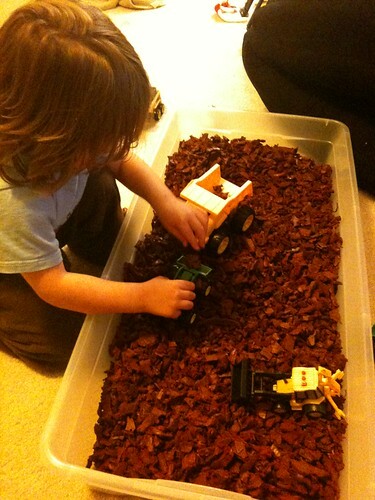 I'm so proud of this idea: an indoor "sandbox" for days when the weather doesn't cooperate. 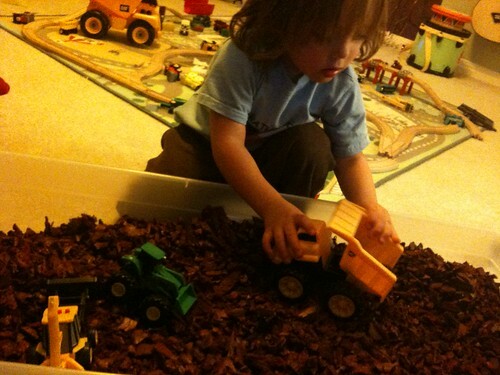 Carter LOVES to dig and roll construction vehicles around in the dirt. We've been to a couple of children's museums that had an indoor digging area, and that's what gave me the idea. I took a large shallow storage container (the kind for under-bed storage) and bought a bag of rubber mulch at Lowe's. And voila, indoor non-messy digging fun!